What do you do with a pink Tourmaline baguette? Well, you create a sterling silver band that will show it off! This band was built in two layers and has a wonderful weight. The inner layer is smooth and shiny silver. The outer layer is made of two bands of twisted wire flanked by two round wires. The total effect is of an intricate yet easy to wear ring. The stone sits low against the band. 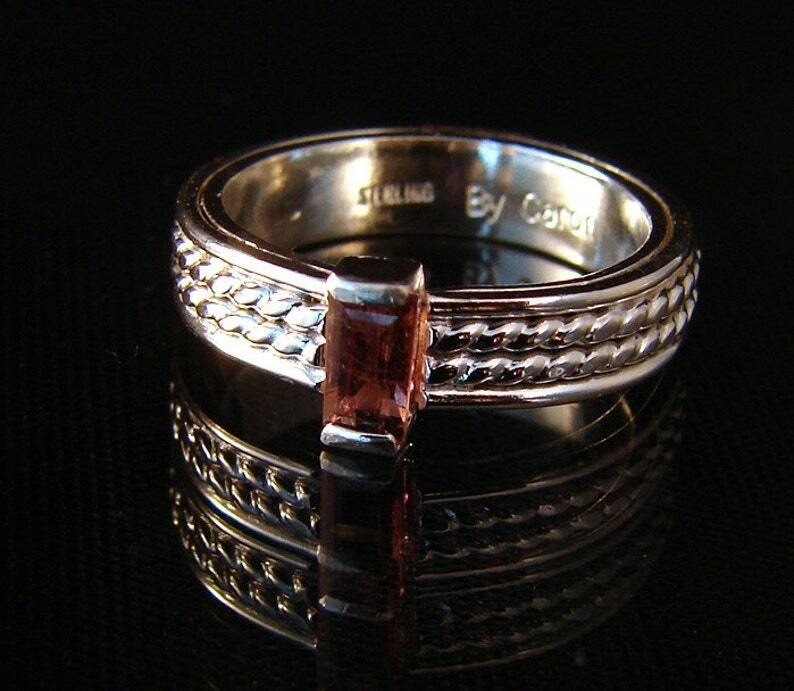 The Tourmaline is pink with a touch of gold making the exact color hard to describe. Sometimes I want to say peach and then other times I think rose! It is a 6x4mm rectangle and .38carats. The band is about 5mm wide. Life is too short to wear ordinary jewelry!